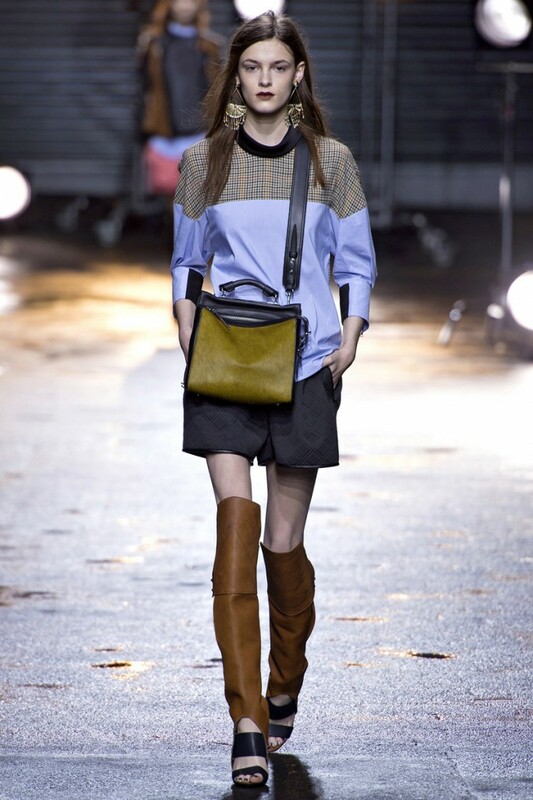 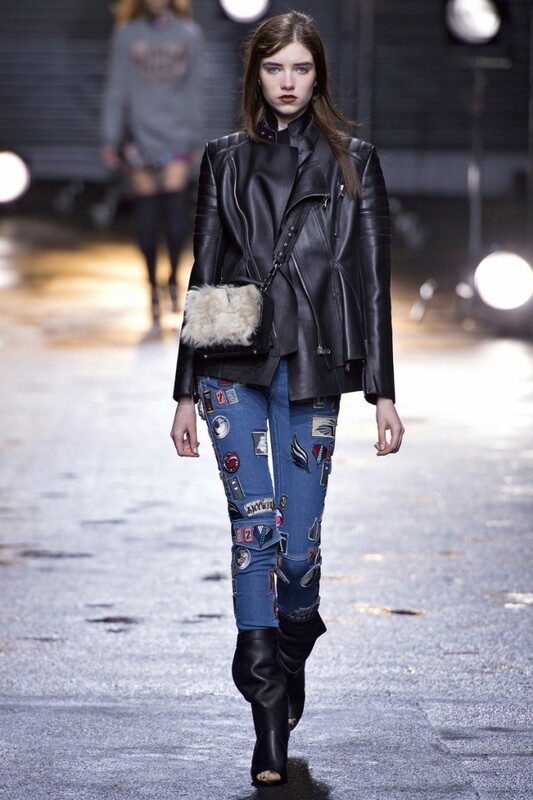 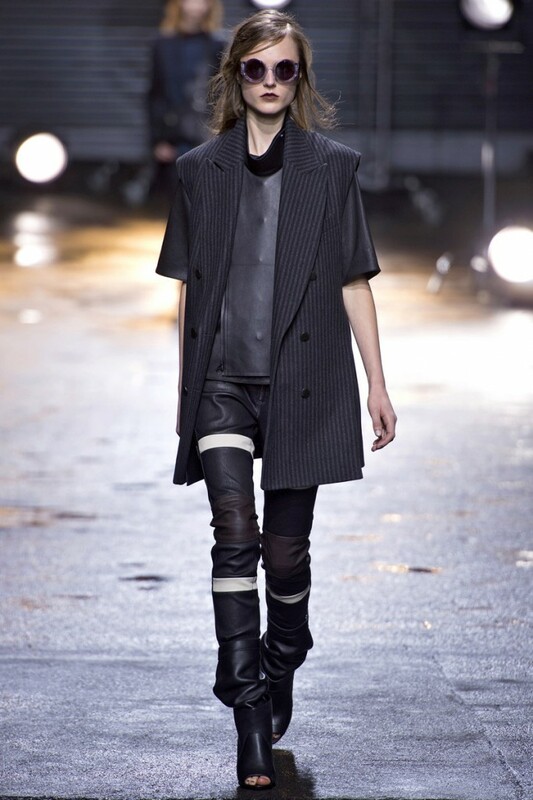 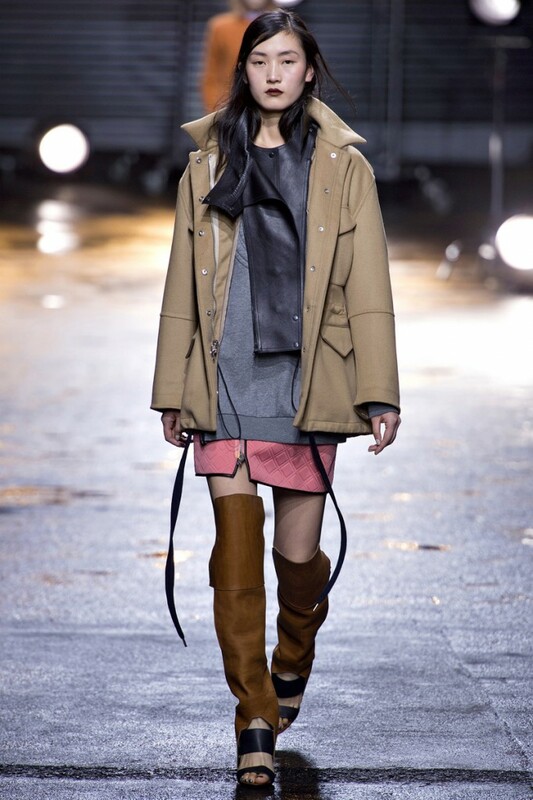 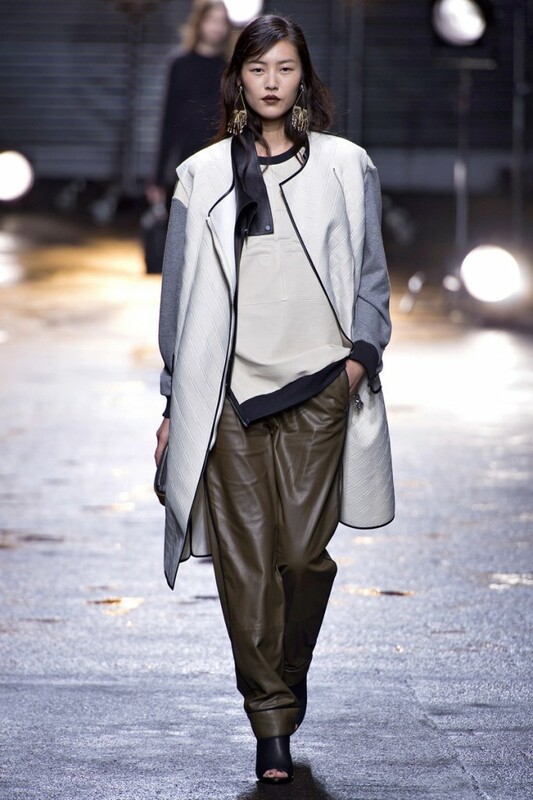 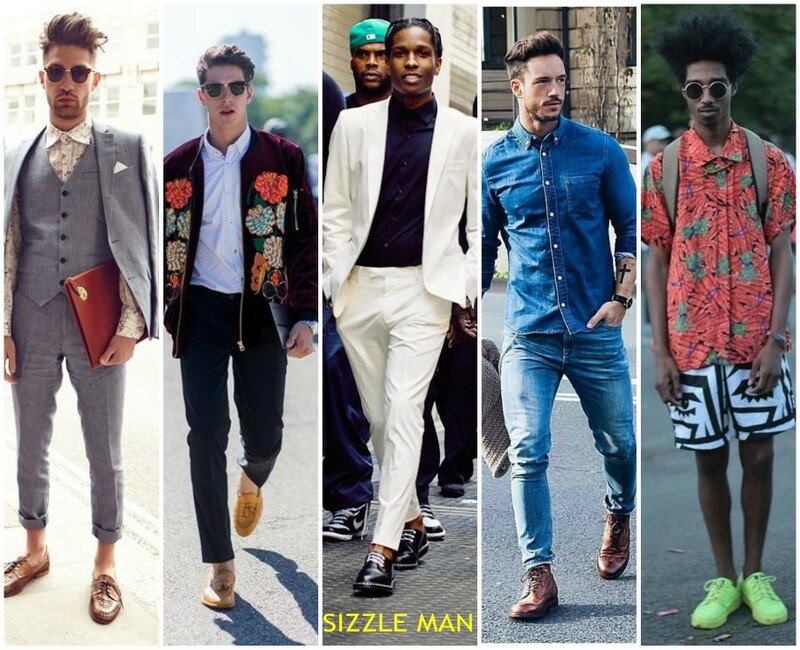 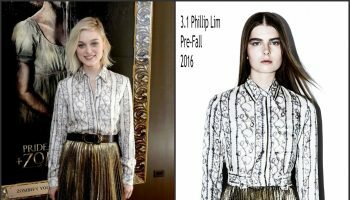 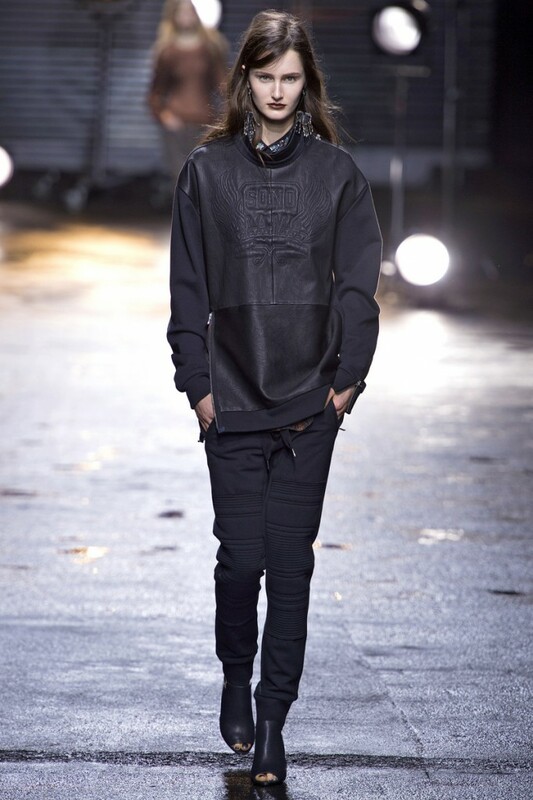 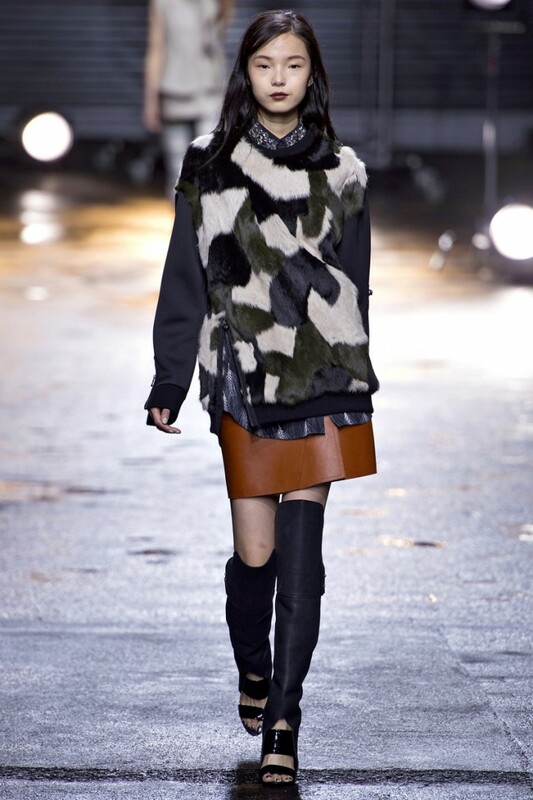 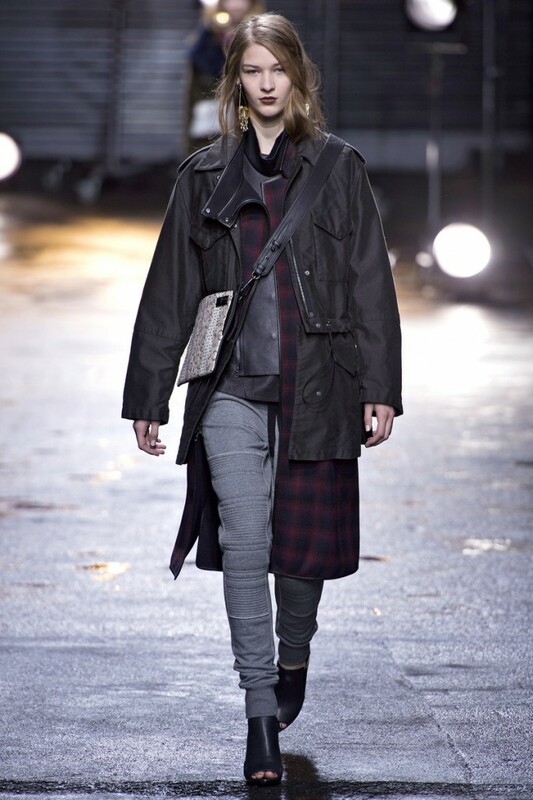 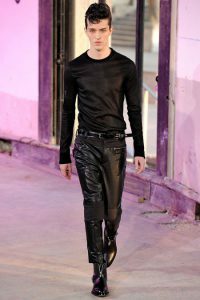 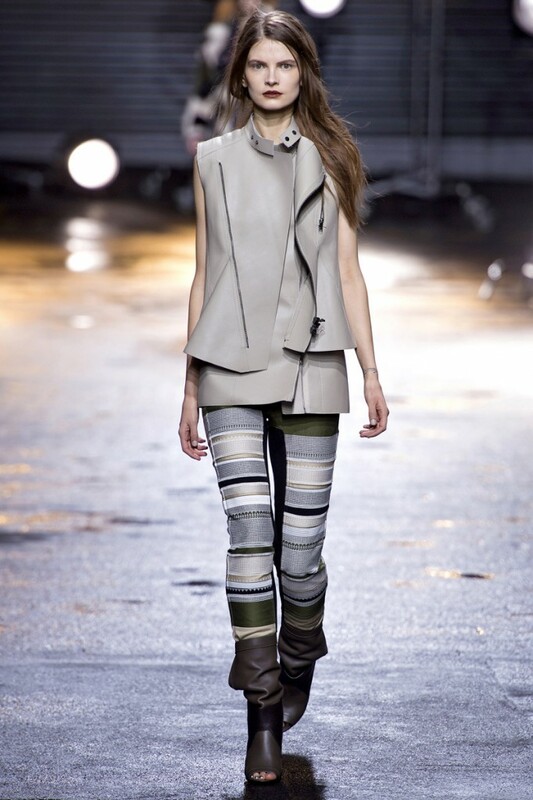 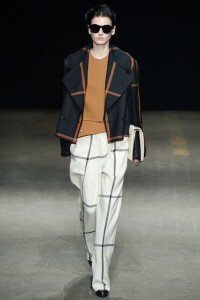 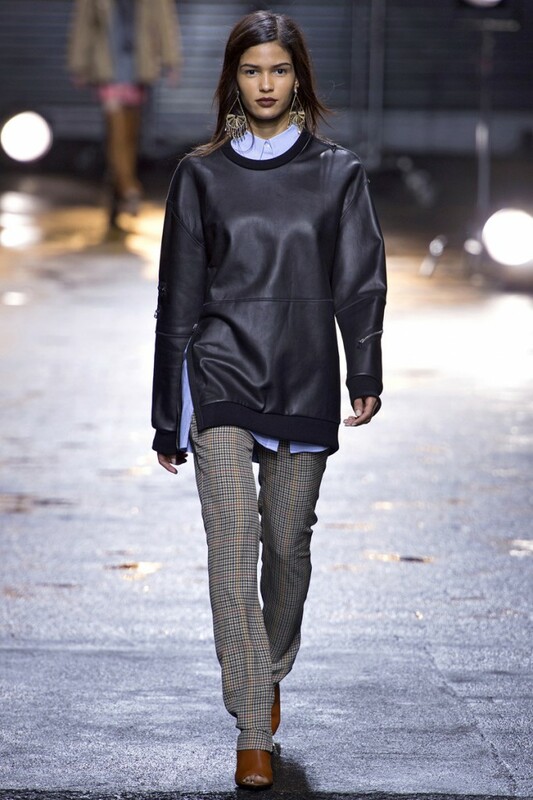 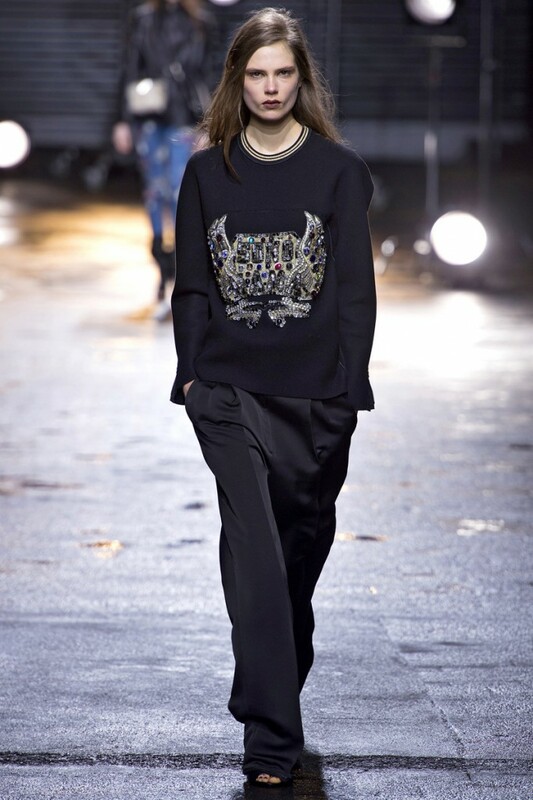 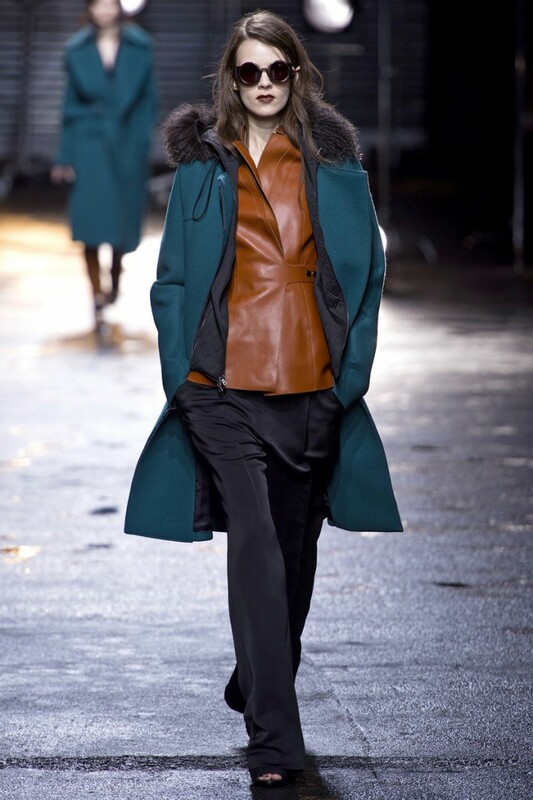 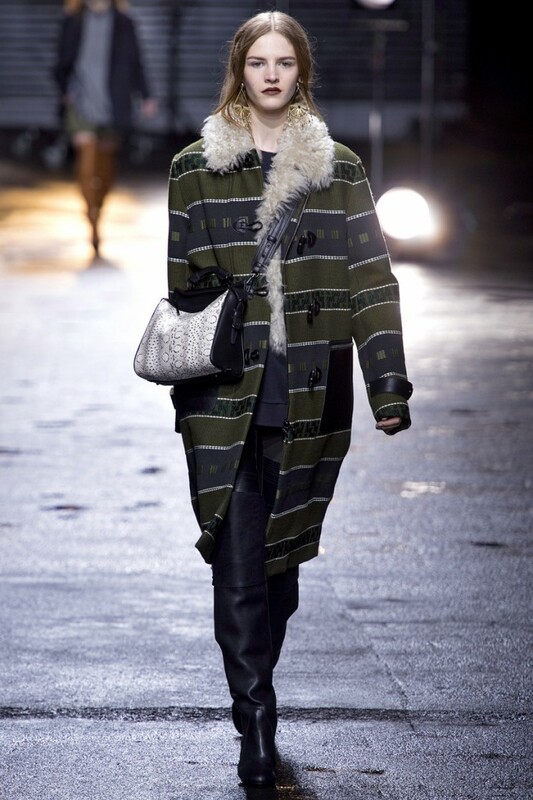 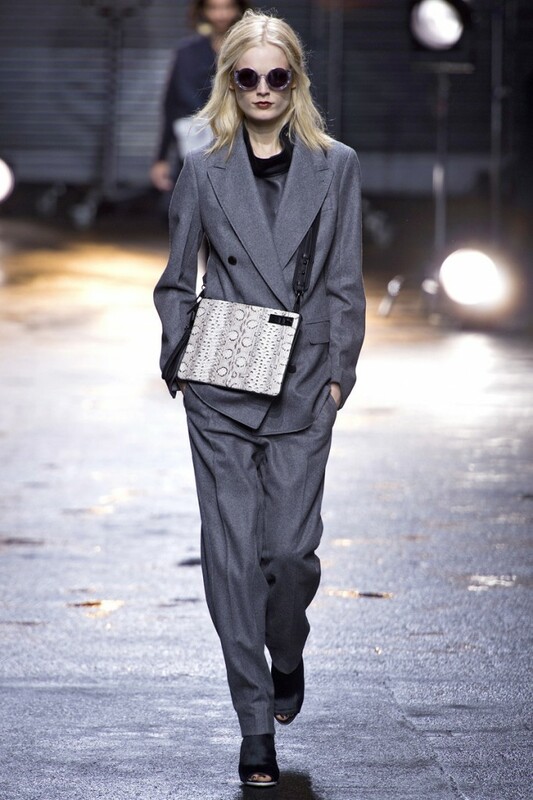 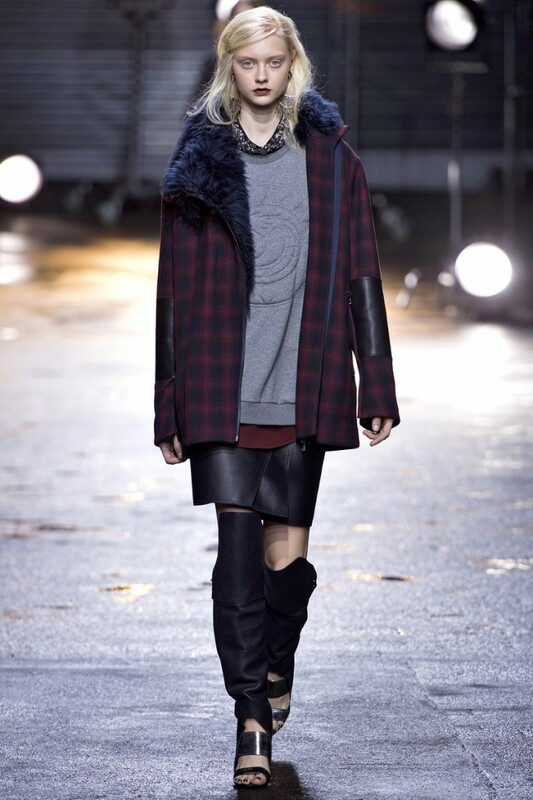 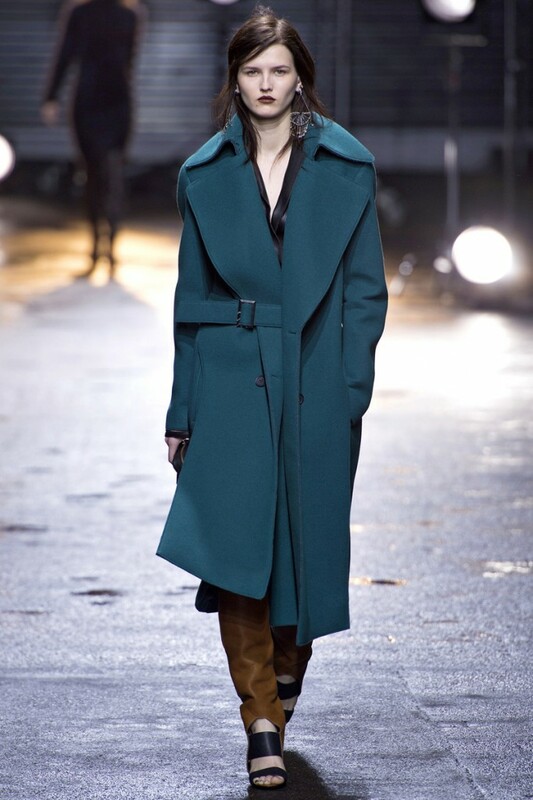 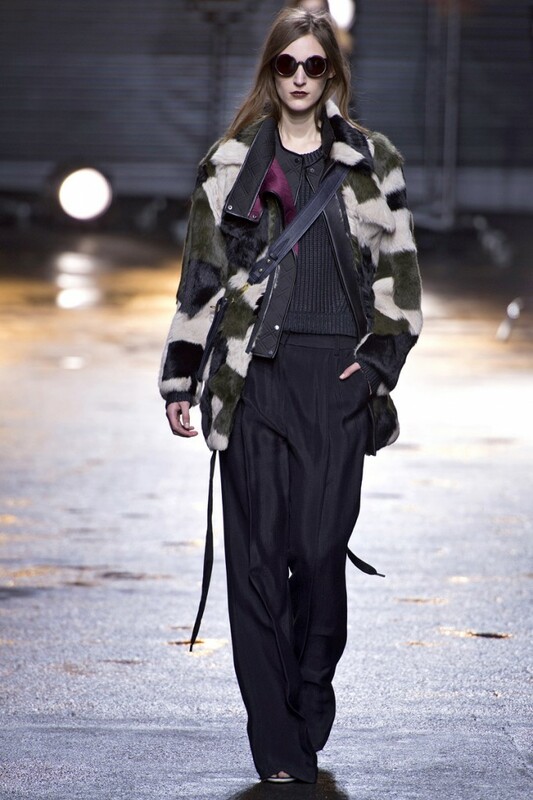 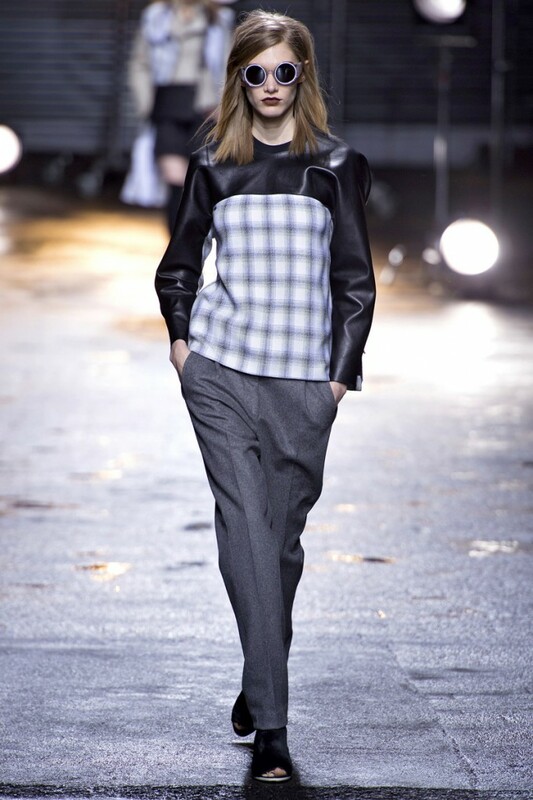 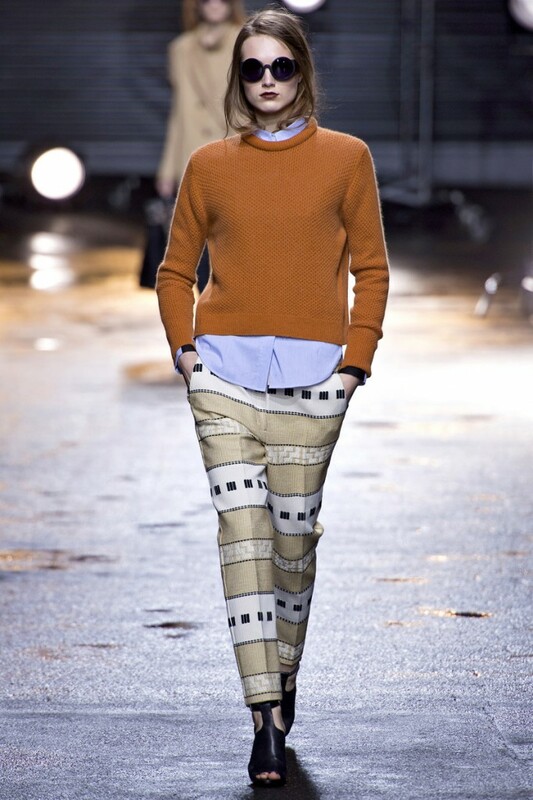 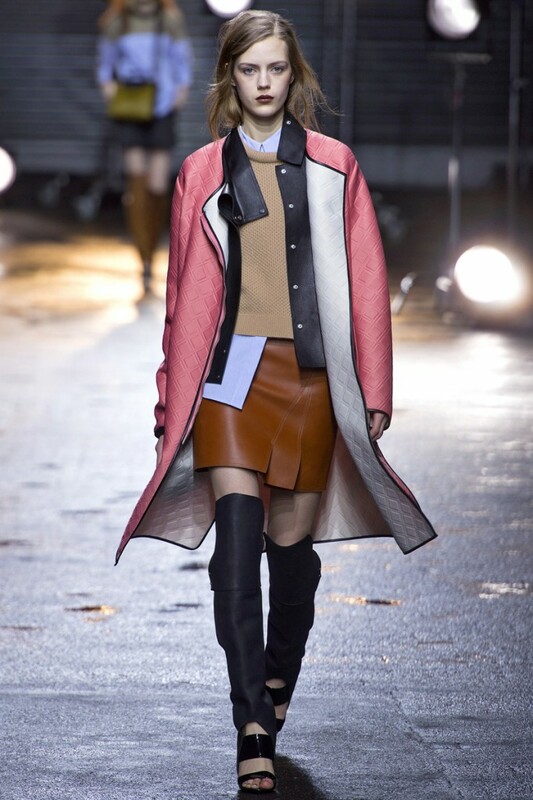 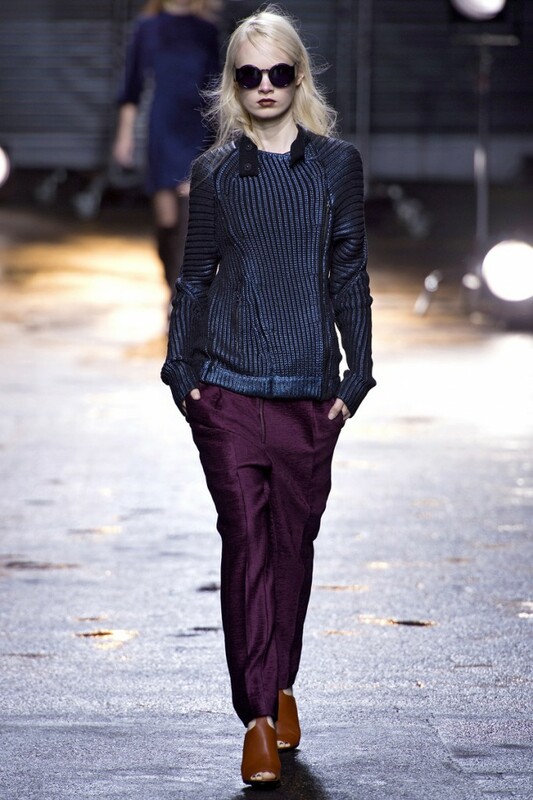 Phillip Lim Fall 2013 Collection “ was inspired by café racer culture, riffing off of motorcycle style,” . 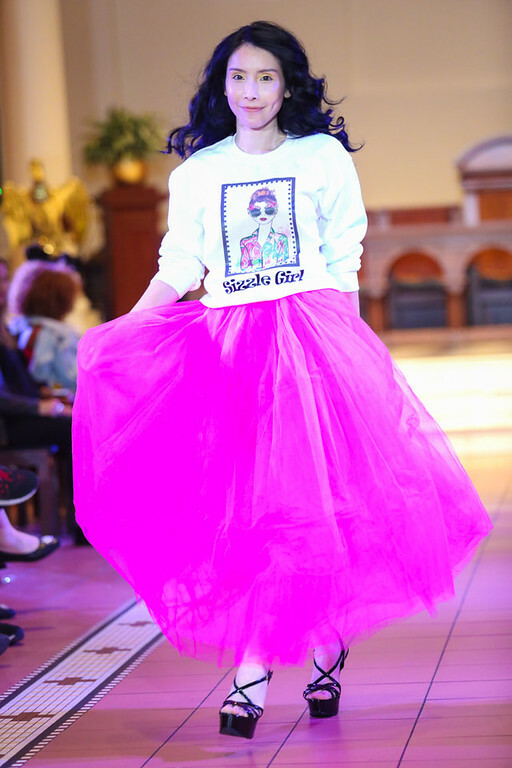 The name of the Collection is Sono Mama It’s a phrase that means “as you are” in Japanese, a state of being that Lim is celebrating this season, specifically, by dressing his girls in an eclectic mix of neo-Bohemian clothes, complete with the many patches of their well-traveled pasts. 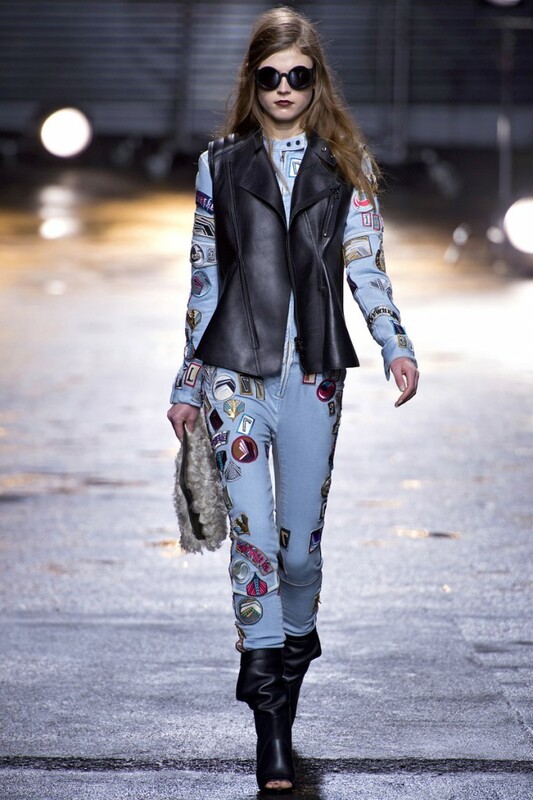 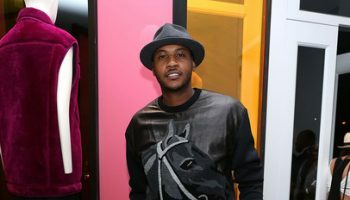 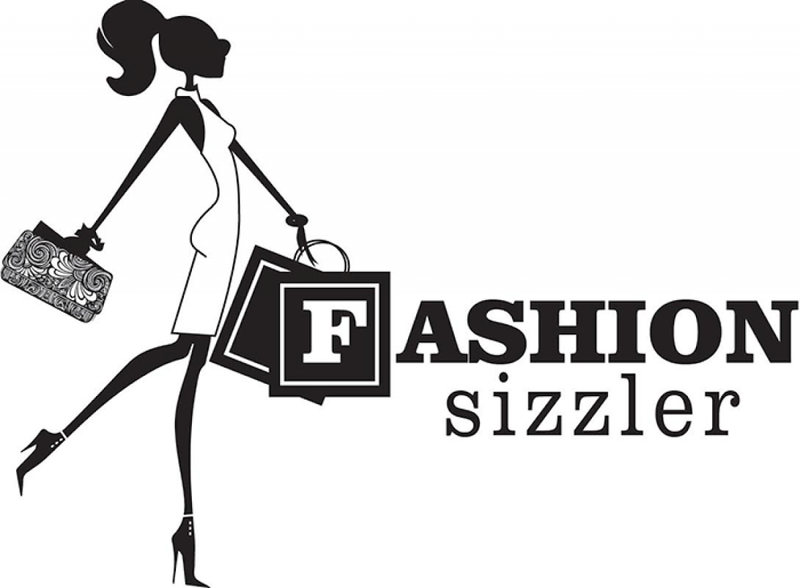 Featured in the collection was a denim jumpsuit sewn all over with those same colorful, custom-made patches, and more––bird face crests, the letters P andL, and graphic chevron-feather motifs. 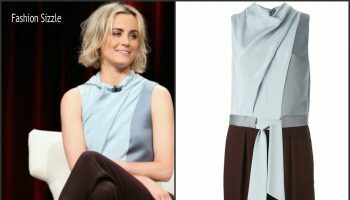 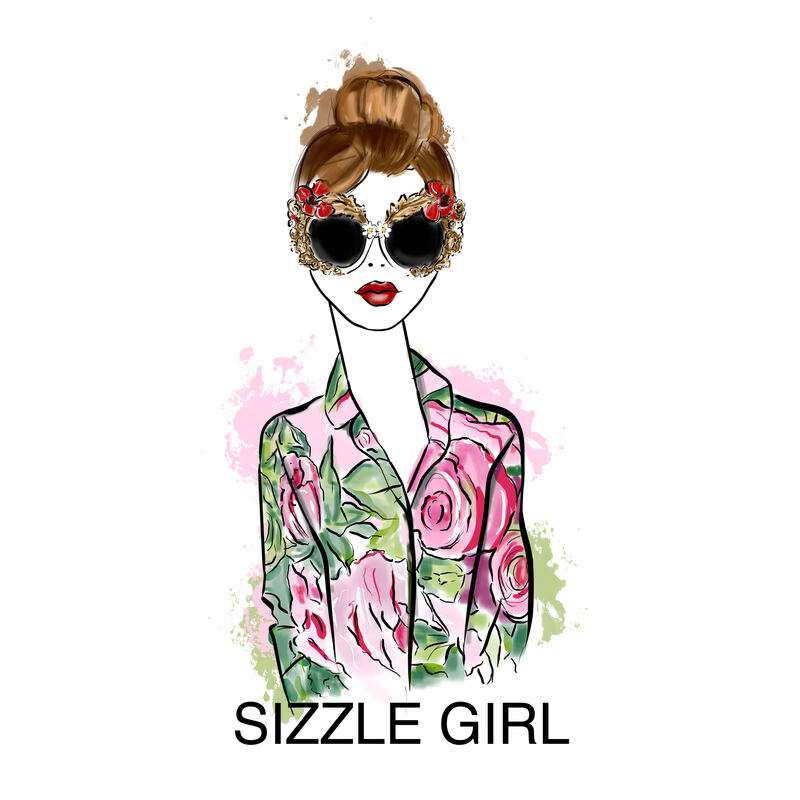 “The character is on a journey, collecting things.” And, it maybe goes without saying, she’s expressing herself through her style.